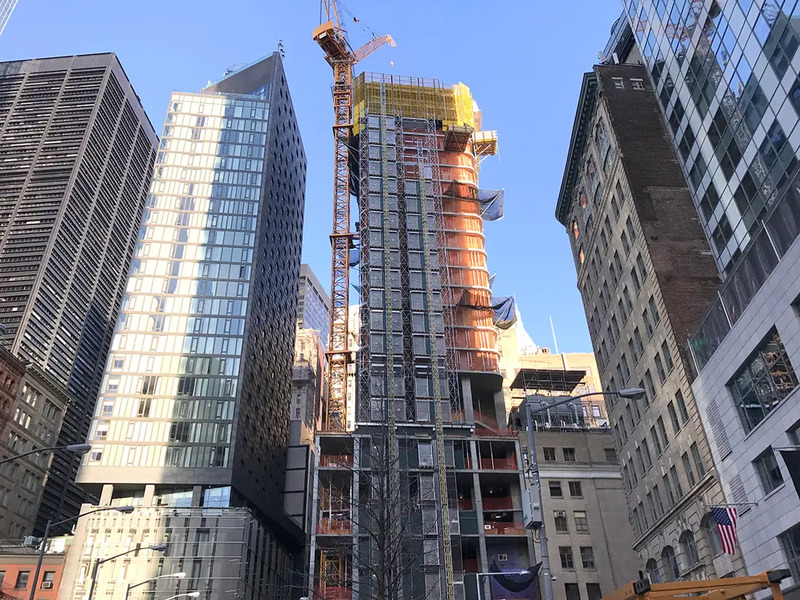 The Financial District’s incoming condo tower at 125 Greenwich Street is rapidly rising, approximately 30 floors up and approaching its halfway mark. Due to top out at 72 floors (88 stories) and 898 feet, the development will ultimately house 273 residences upon completion in 2019. 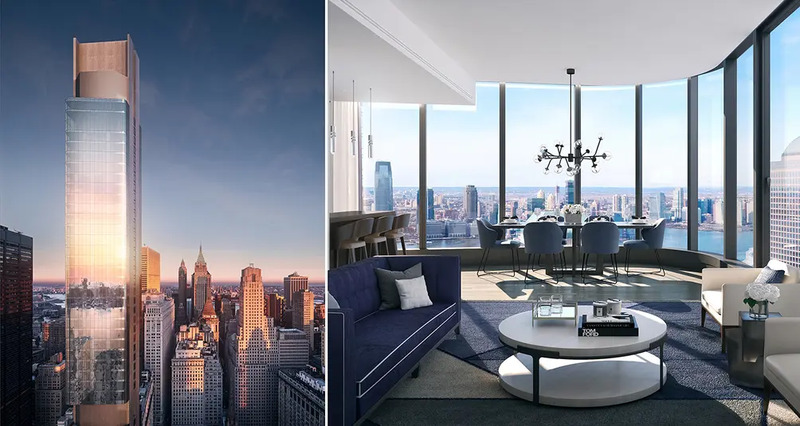 The slender tower has been designed by Rafael Viñoly Architects, the New York City-based firm behind 432 Park Avenue, the tallest residential building in the hemisphere. 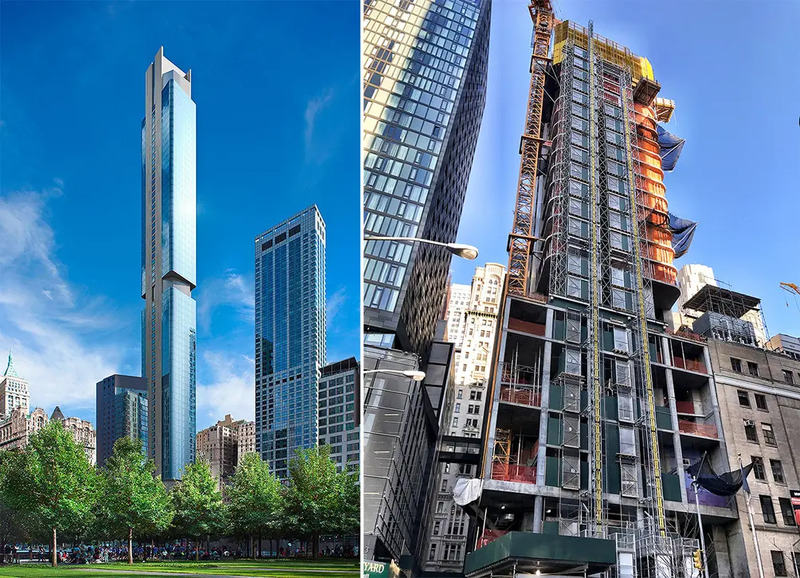 With 125 Greenwich Street, the architect-mogul has opted for a shorter structure with a larger floor-plate, featuring distinct rounded corners and a glass façade. Nearly column-free, the floors are instead supported by two I-beam-shaped shear walls that run vertically through the tower. Following a sales launch last September, there are currently 17 apartments for sale in the building, including five studios starting from $1.275 million, six 1-bedrooms starting from $2.075 million, three 2-bedrooms starting from $4.01 million, and three 3-bedrooms starting from $4.625 million. For a limited time, purchasers will be able to select one of three specially-designed residence palettes intended to add a personal touch to the space while and masterfully amplifying natural light. Palette options include Aqua, Terra, or Stratus, each drawing inspired by the building's cinematic views. Inside, the residences will feature design by March & White. Custom open kitchens will offer fully integrated Miele appliances, including gas cooktops with vented hoods, dishwashers, refrigerators, freezers, microwaves, convection ovens, garbage disposals, kitchen faucets, and wine storage. Master bedrooms will include spacious walk-in closets and en-suite master baths. These luxurious spaces will feature radiant heated flooring, custom wall-hung millwork vanities, medicine cabinets with decorate metal edging and recessed lighting, Calacatta marble floor and shower walls, air jet tubs, frameless glass shower enclosures with rain heads and hand showers, and wall-hung Duravit toilets. Residences will be complete with washer/dryers. Converging at the building’s crowning three stories, amenities include spaces for dining and entertainment, a fitness center, a pool, a spa, and exciting views of the emerging Downtown landscape below. 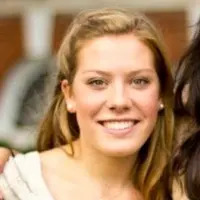 Further services include a 24-hour attended lobby, a concierge, and elevators. 125 Greenwich Street is situated at the northwest corner of Thames Street, just south of the World Trade Center and northwest of Wall Street. While history and business continue to intersect, the neighborhood is now abuzz with an increasing amount of public spaces and residential amenities, including the upcoming Perelman Center, a dynamic performing arts venue, and high-end shops at Brookfield Place, plus countless sources of entertainment, dining and vistas along the Piers. Transportation is a cinch through plentiful subway stations, the PATH, and ferry. 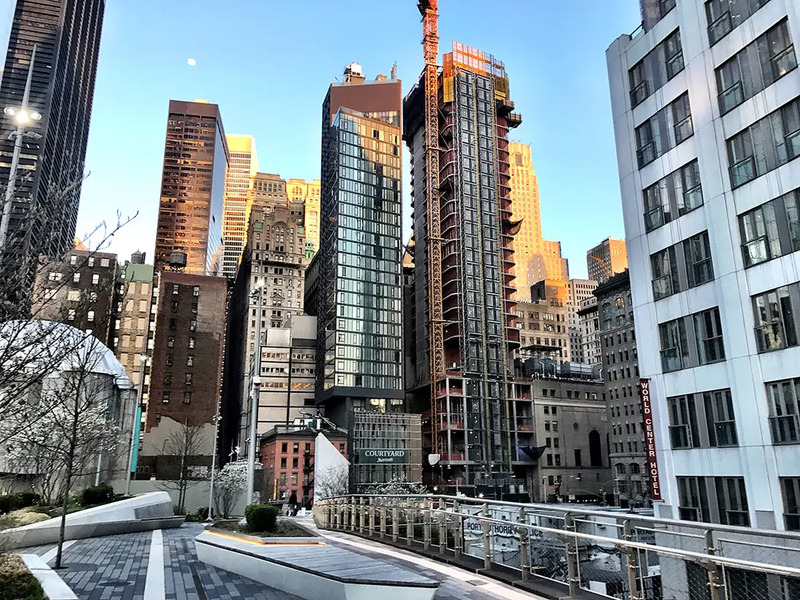 125 Greenwich Street is in development by Bizzi & Partners and New Valley, who together with SHVO purchased the site for $185 million from Witkoff and Fisher Brothers.